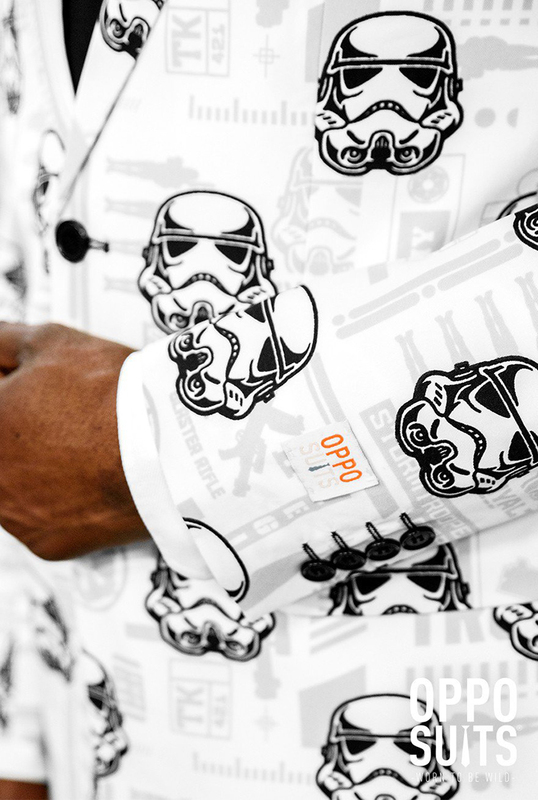 OppoSuits has released a two powerful looking Star Wars themed suits, “Strong Force” and “Stormtrooper,” that come equipped with matching ties. The suits are available to purchase from the OppoSuits website. We previously wrote about their dapper Pac-Man suit. 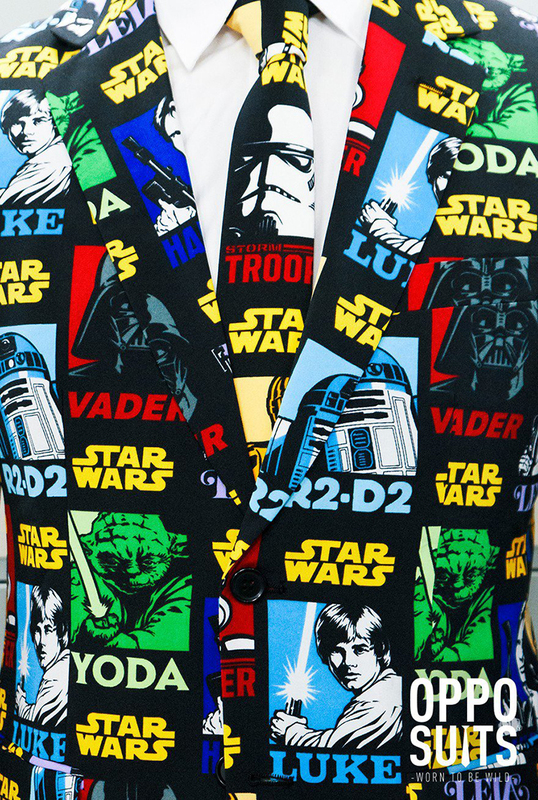 Strong Force: Are you looking for the latest fashion trend on Tatooine? Do you want to know what everybody is talking about on Naboo? 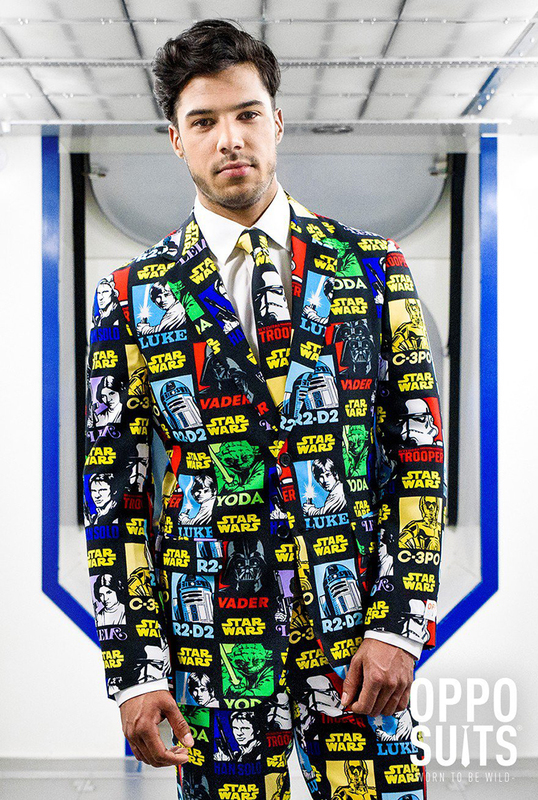 Wear this official Star Wars™ suit from OppoSuits and the Force will show you. Suit up, you must. Stormtrooper: Close the blast doors! We know there’s a bit of darkness inside of you. We can sense it. 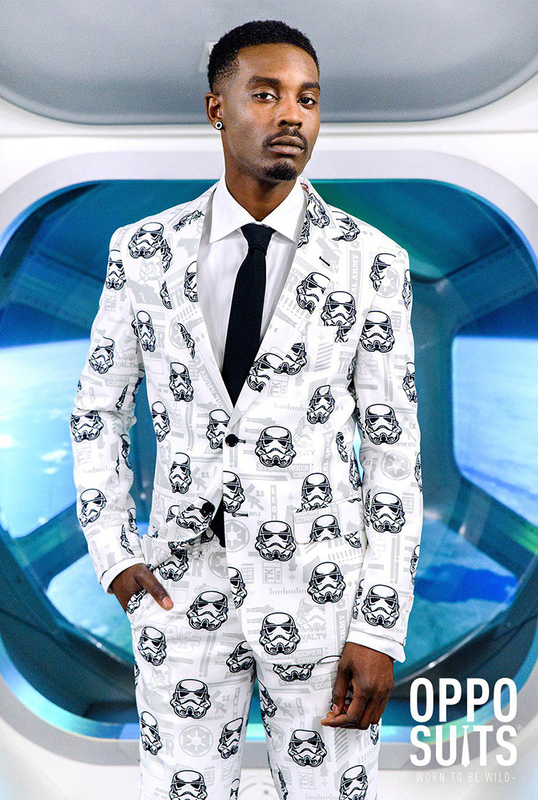 Wear this official Stormtrooper suit from OppoSuits and show your allegiance to the Empire. The Empire wants you.